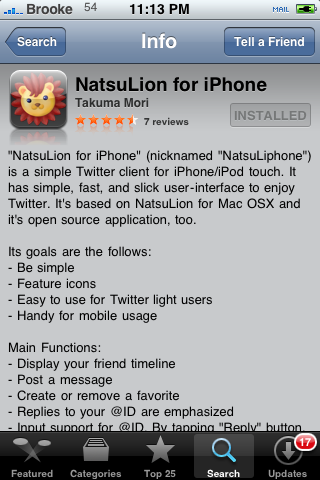 NatsuLion for iPhone is a new Twitter application that was released in the App Store just in the last week. 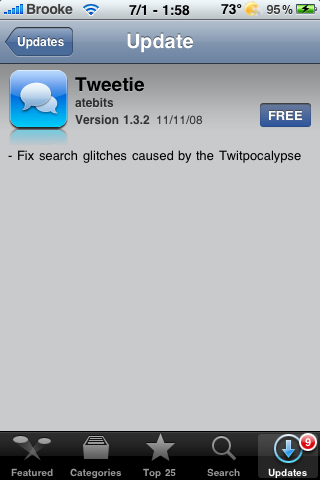 Doug has been doing a few reviews of Twitter apps so I thought I would get one in too! 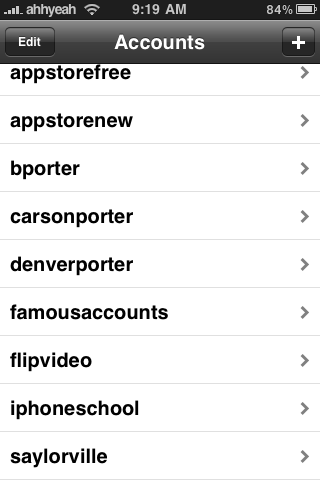 :) When you open NatsuLion, you will first need to enter your Twitter User Name and Password. Along the bottom of the application you will notice a menu bar with the options; Friends, Replies, Sents, Unreads and Settings. The Friends option is your main twitter feed of all you and your friend’s tweets. 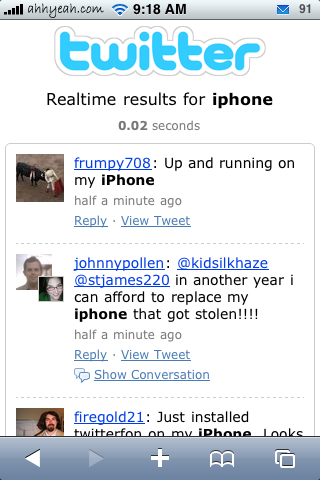 If you select one of the tweets, it will open the tweet full screen giving you the option to reply to the tweet or make it a favorite. 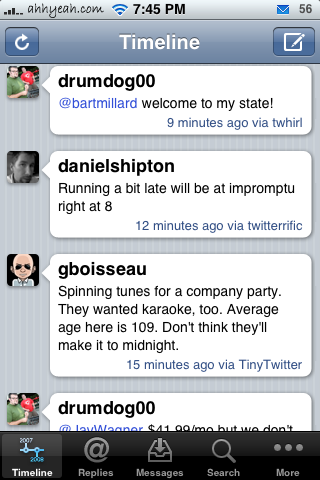 You also have the option to see all of that friend’s tweets by selecting the @friend’sname option. One great feature of this application is that if there is a link, you can select it and it will open the link right in the application (you can change this in the Settings if you would prefer it open via Safari)! Now, a few downfalls are that you cannot easily direct message a friend. You can select reply and then change the @ to a d but, there is no actually direct message option. 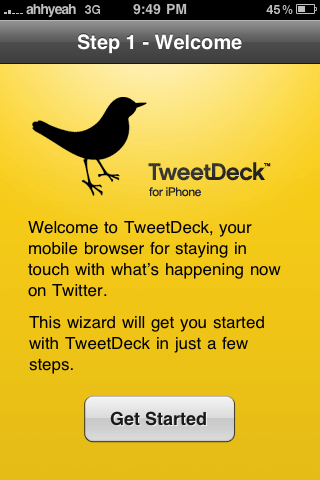 The second is that you cannot click on a link without opening the tweet and then selecting the link. I also think it would be nice to have the option to see who a friend is following and who is following that friend.